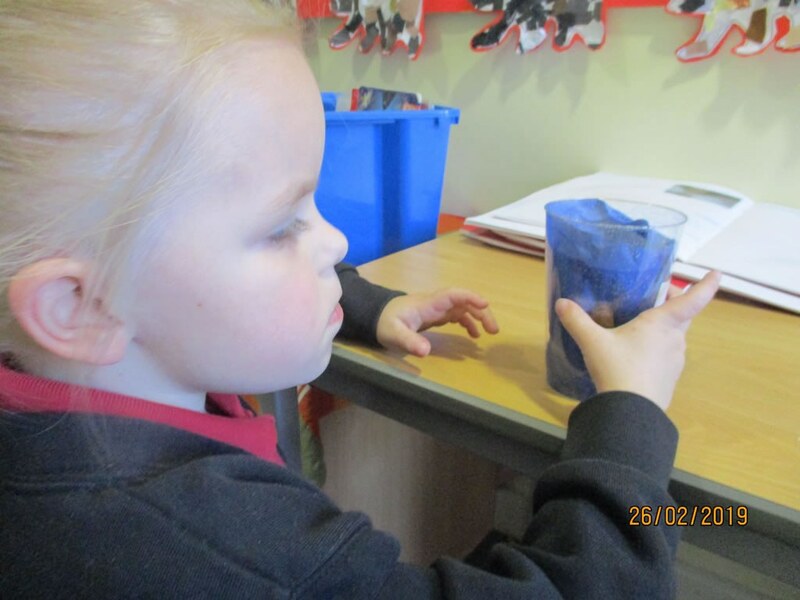 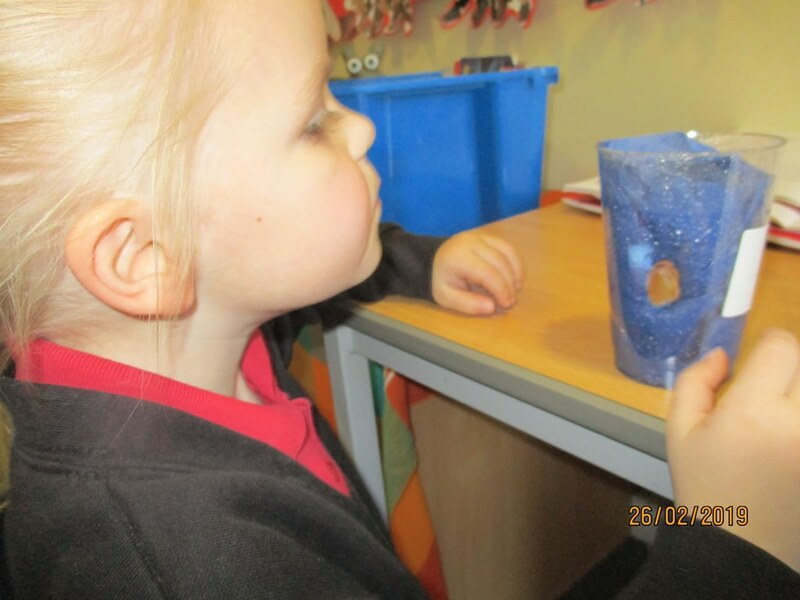 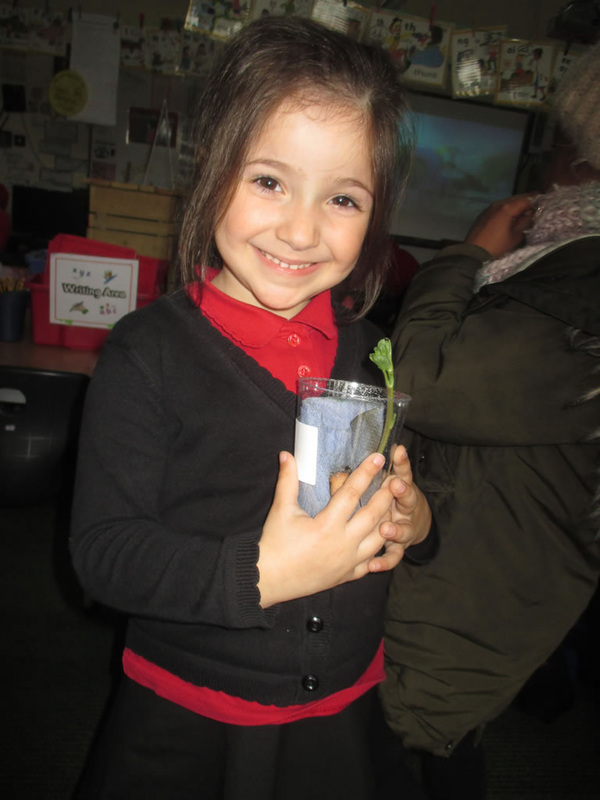 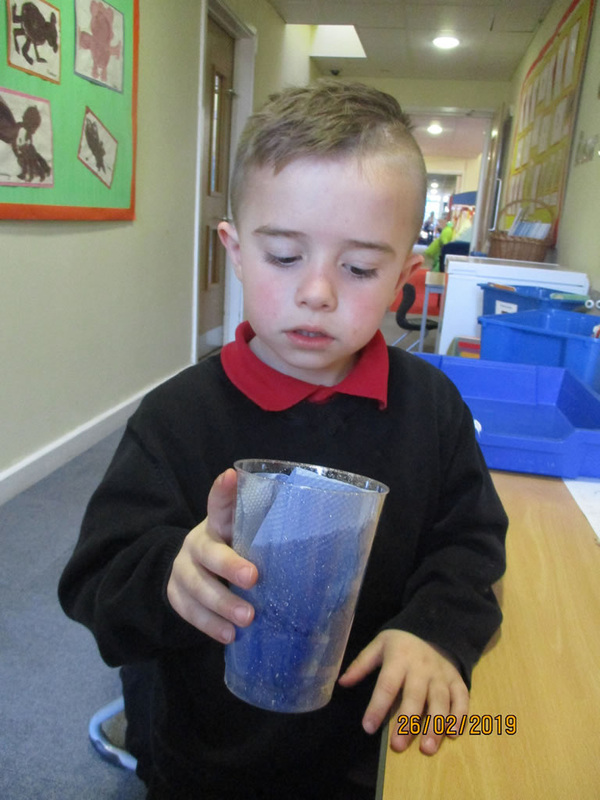 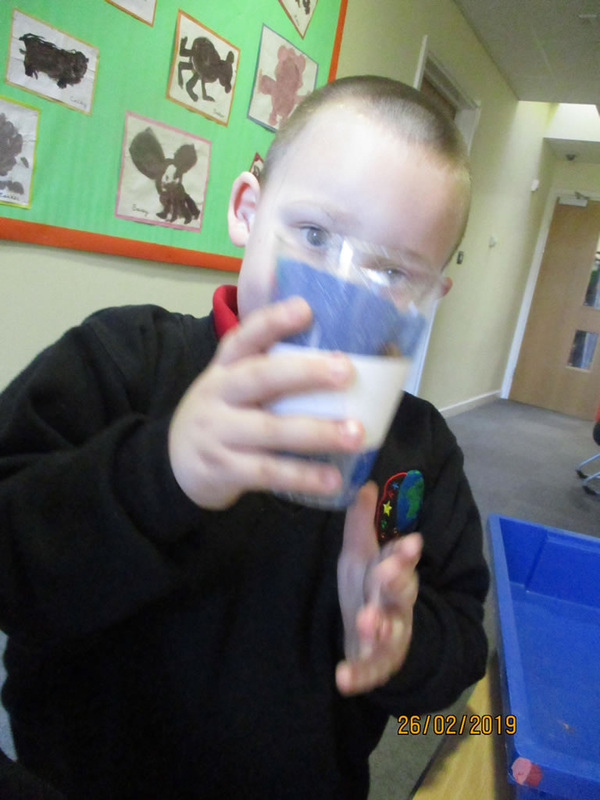 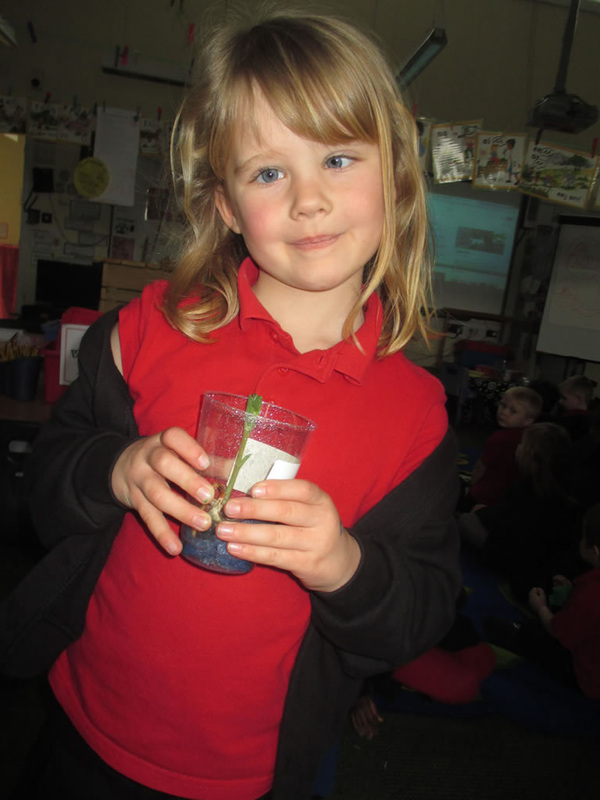 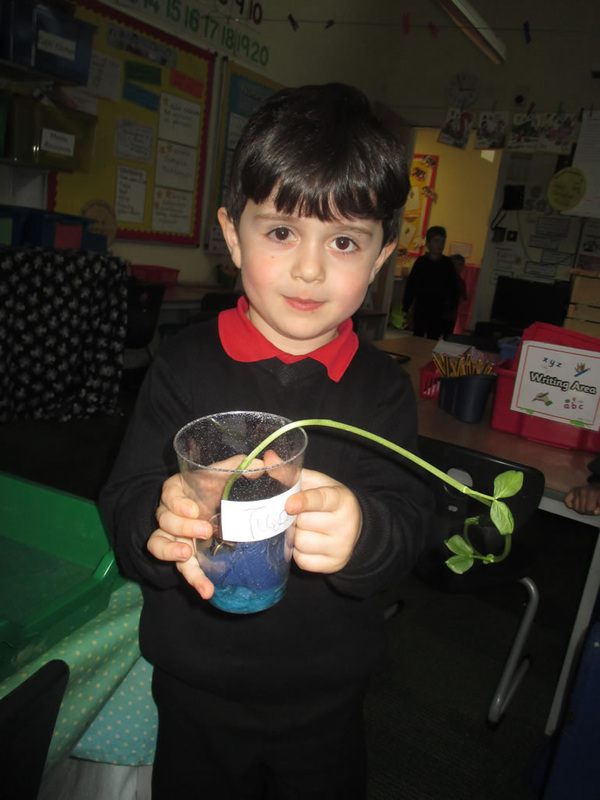 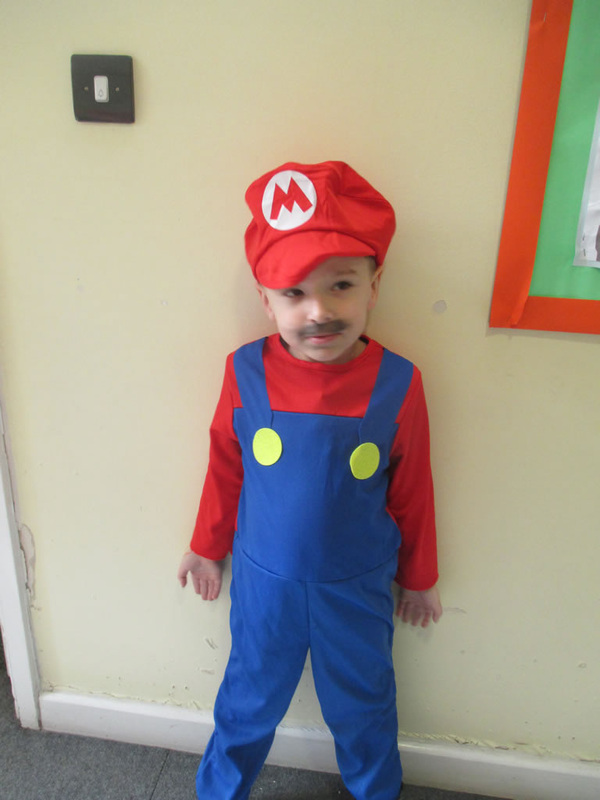 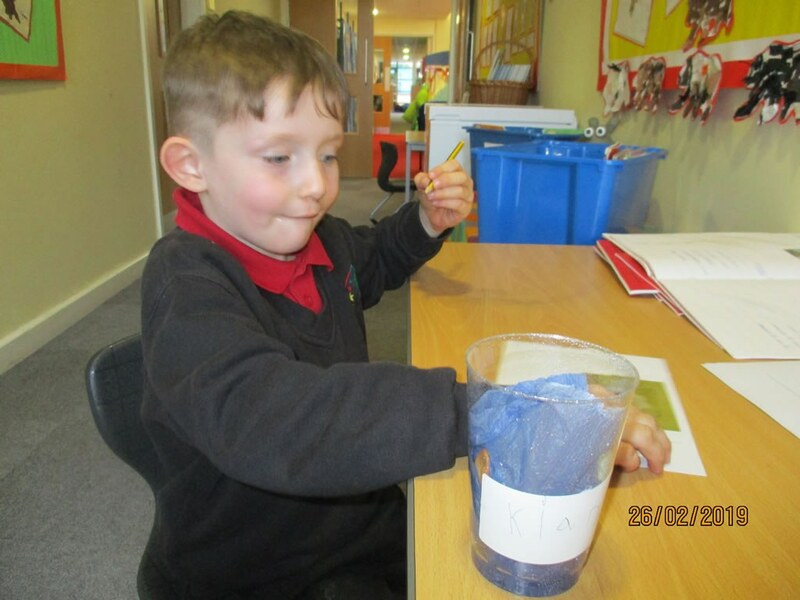 In week one, we have started the new term with the story of Jack and the Beanstalk and we have each planted a bean. 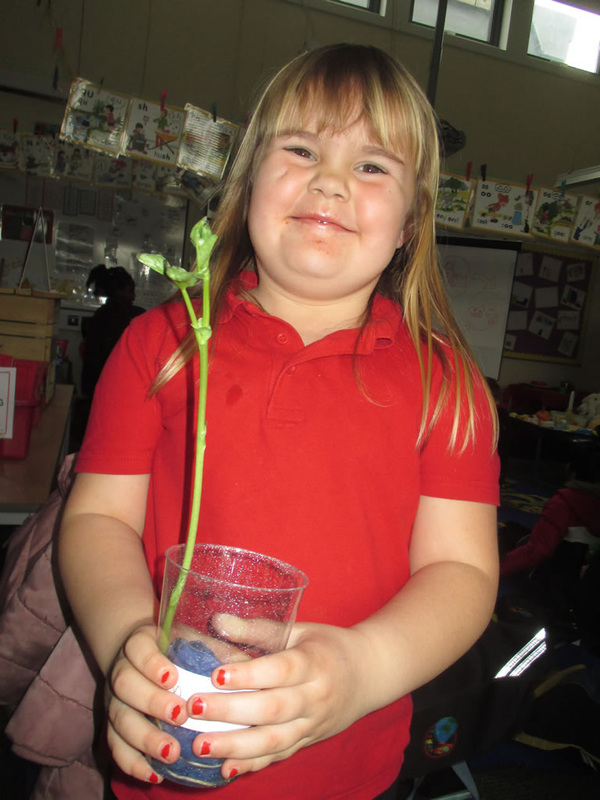 We are very excited to watch them grow. 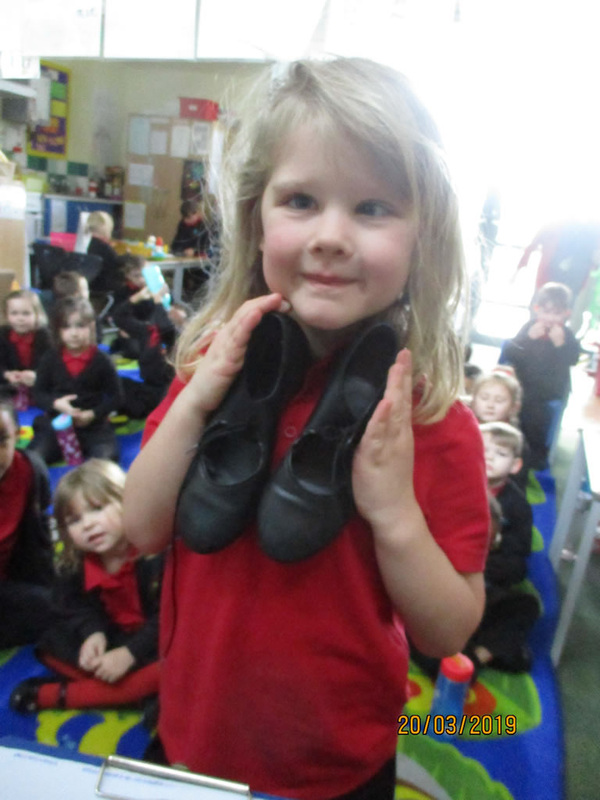 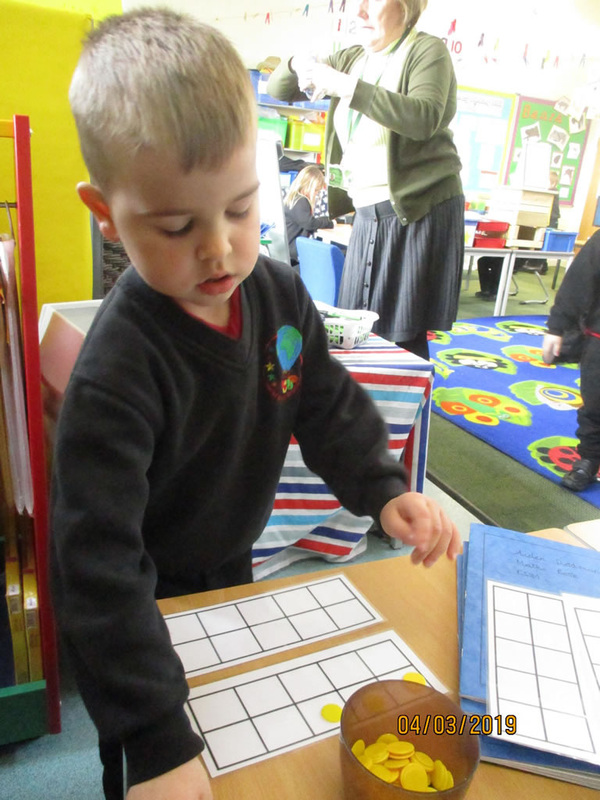 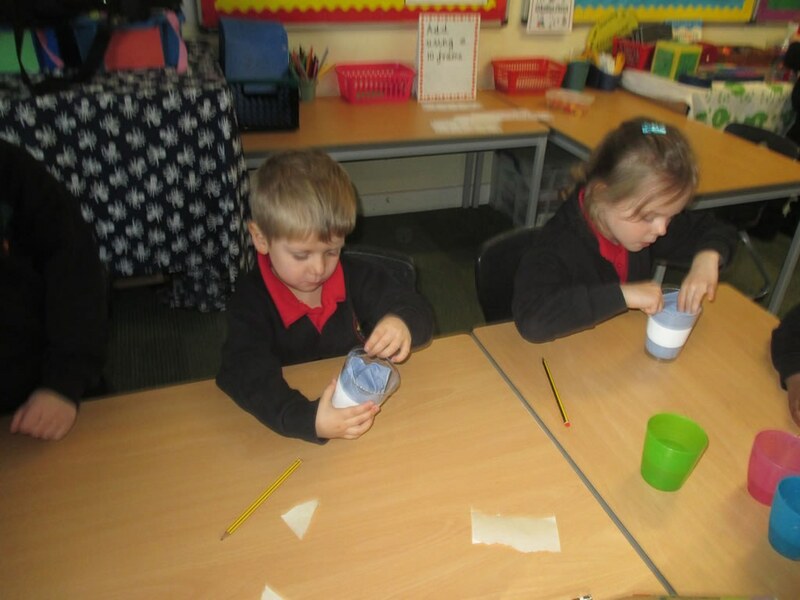 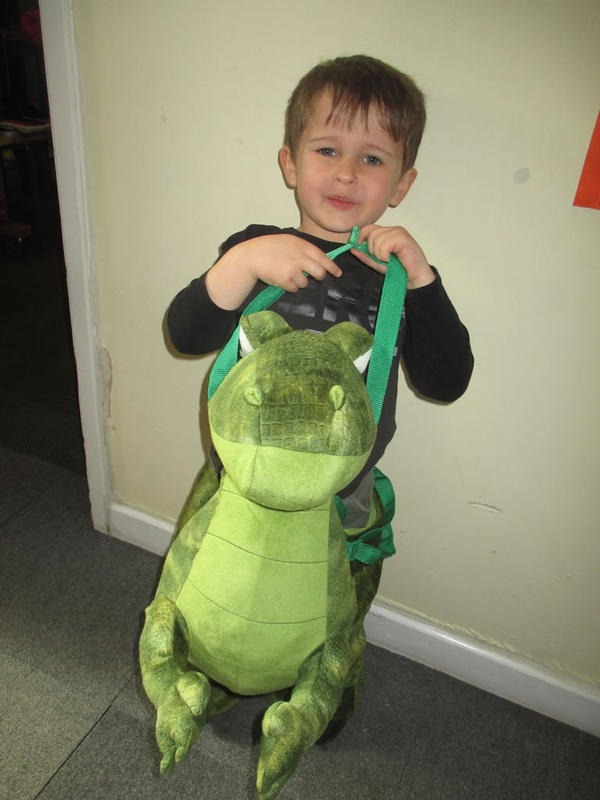 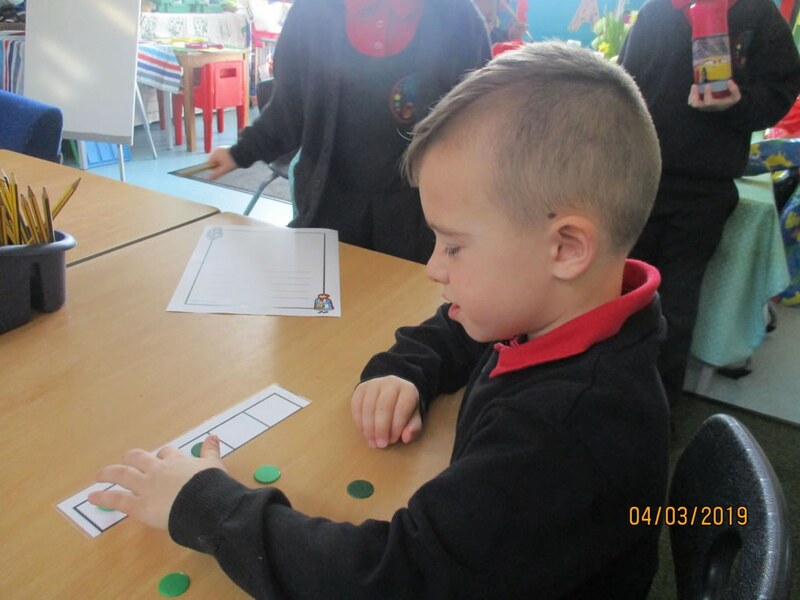 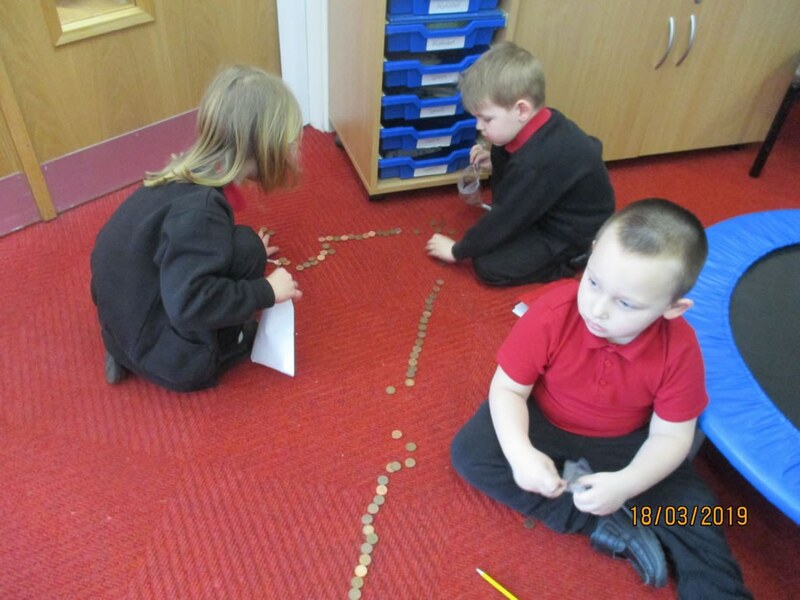 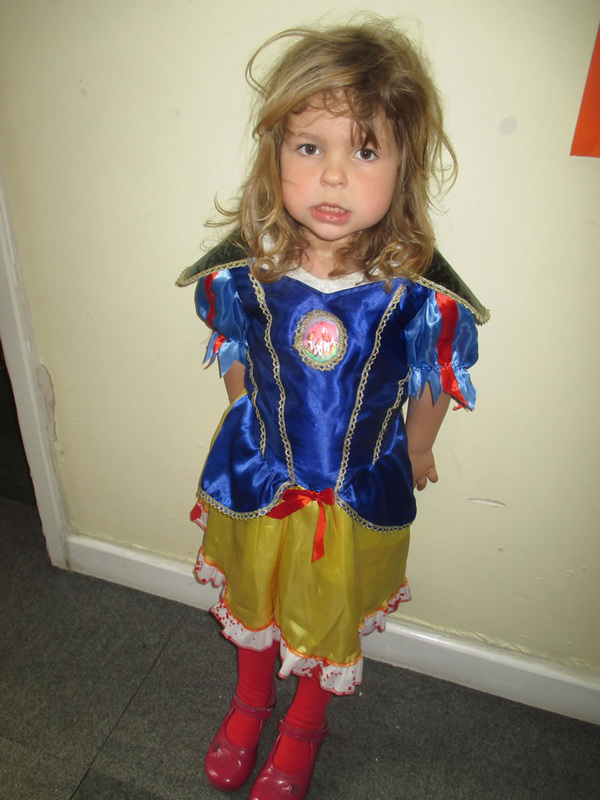 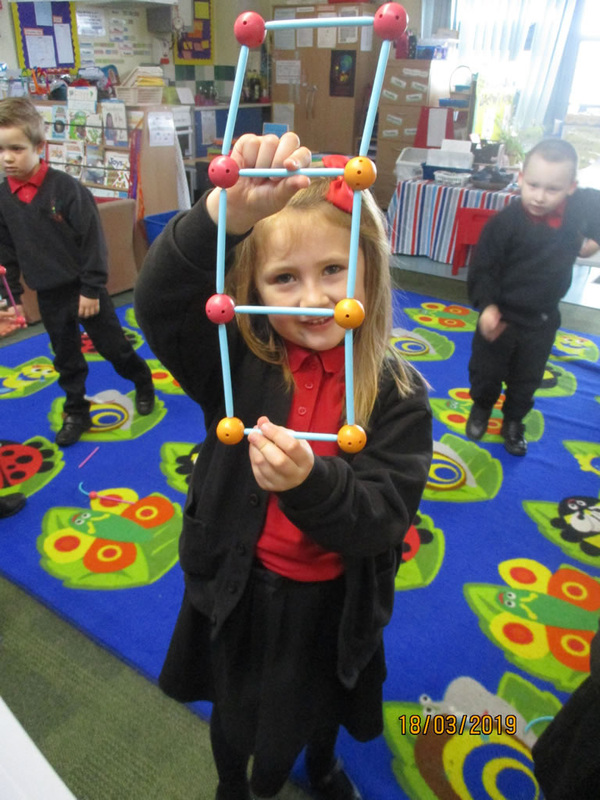 Week two has been Book week and we have taken part in lots of activities relating to books, looking at traditional tales and writing about Little Red Riding Hood, Goldilocks and the Three Little Pigs. 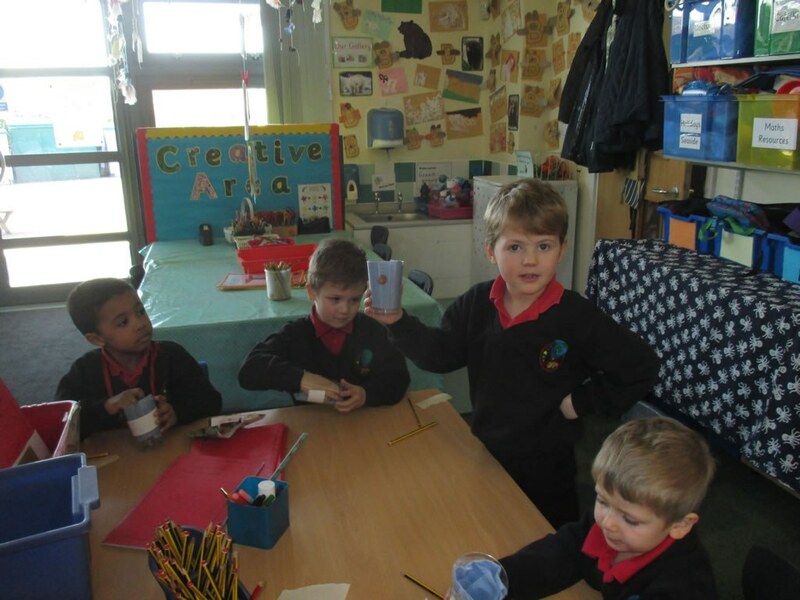 We also wrote about our favourite books and designed a book cover for an author who came to read to us. 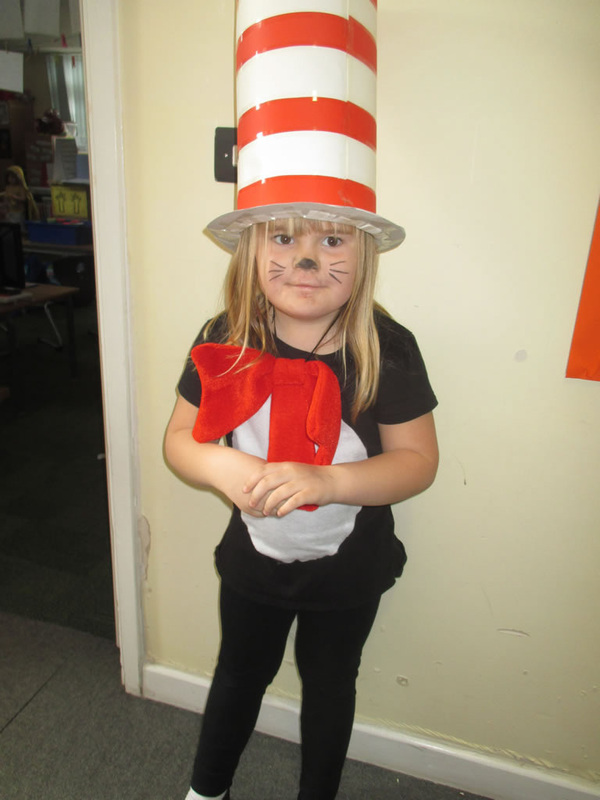 We loved sharing books with our Year 6 friends and dressed up as a book character for World Book Day. 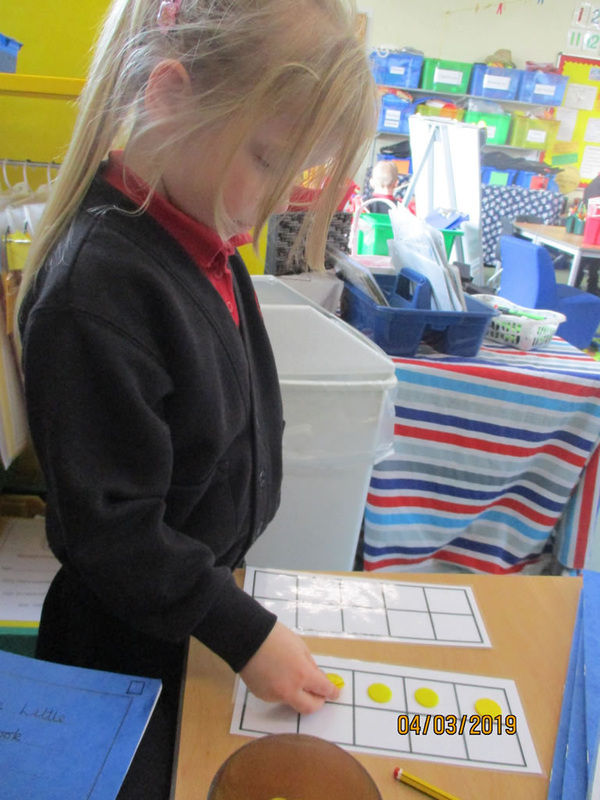 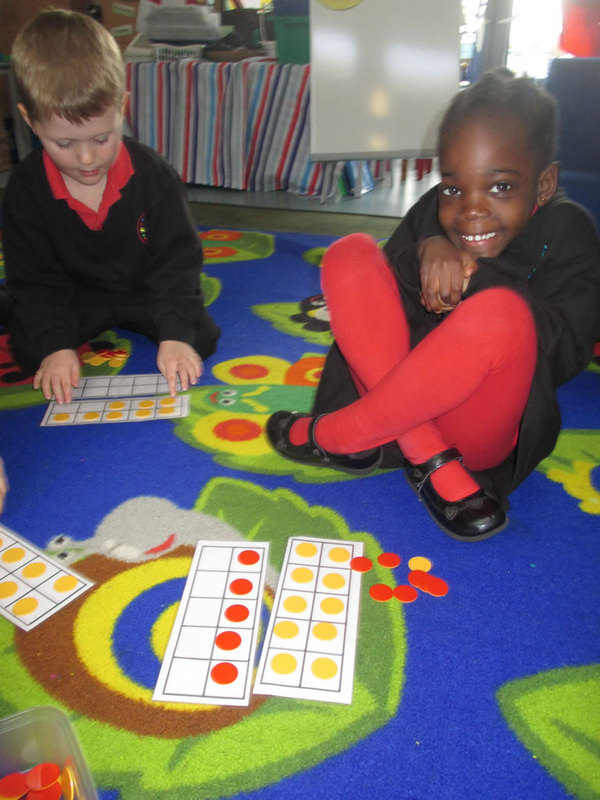 We have also been painting flower pictures, watching our beans start to germinate and been learning how to subtract using ten frames. 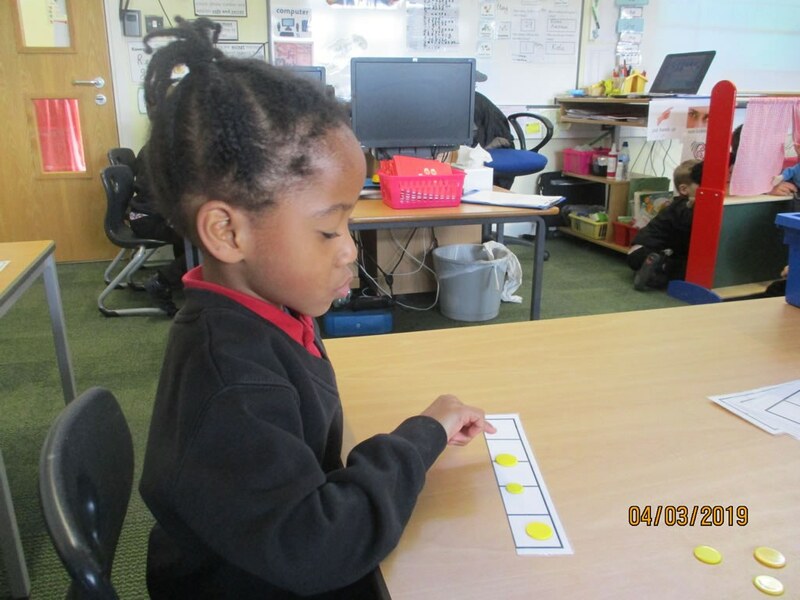 We haven't been learning any new sounds but have been re-capping Phase 3.